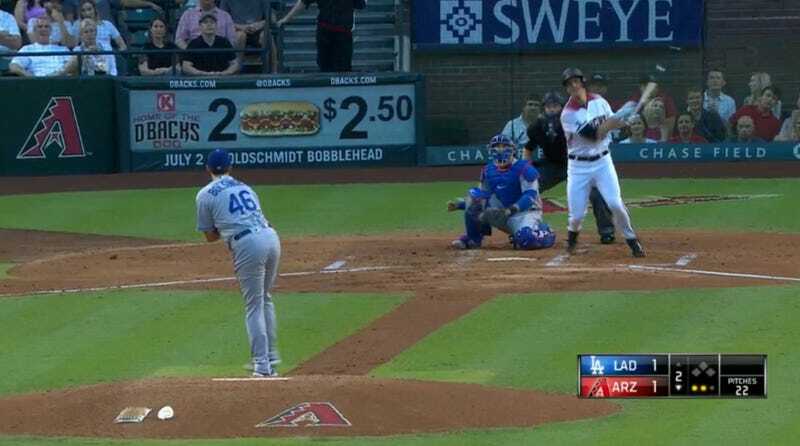 Zack Greinke left the Dodgers for the huge pile of cash that the Arizona Diamondbacks offered him this offseason, and he tried to show out a bit when he hit what he probably believed to be a donger against his former team. He flipped a itty bitty bat flip to commemorate the occasion. Except, yeah, no, that’s not a dinger my man.